Randy Newman's rich and diverse repertoire of songs had reached a wide variety of people through other artists although those same people didn't always know it. His songs have crossed the divides of pop music from Eric Burdon to Judy Collins to Fats Domino which simply illustrates his measure of lyrical wit and intelligent and provocative writing. This stunning 1972 performance from the Boarding House in San Francisco hides nothing from the ears and allows the listener, a unique insight into the soul of one of America's greatest songwriting legends. Recorded during the promotional tour for his third studio album Sail Away, this prized performance finds him at the relative dawn of his career. Although it didn't break massively in a commercial sense, Sail Away was a huge critical success, a fact that makes his solo appearances from this period so inviting. 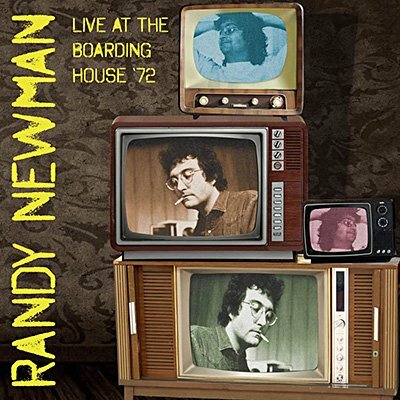 Orbit proudly presents the entire KSAN-FM broadcast of Randy Newman's captivating performance at the Boarding House in San Francisco on 11th June 1972.